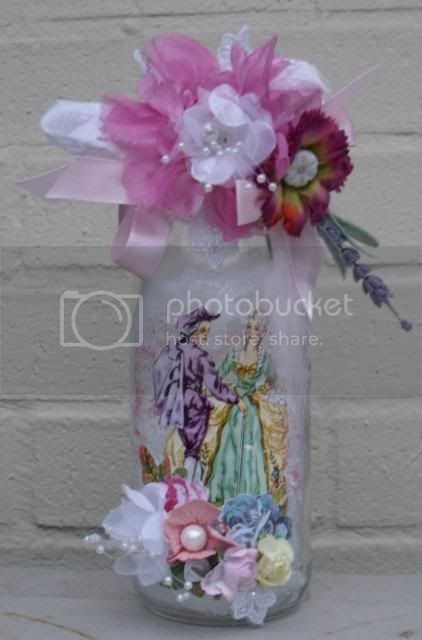 What can u do with a soda bottle you say! 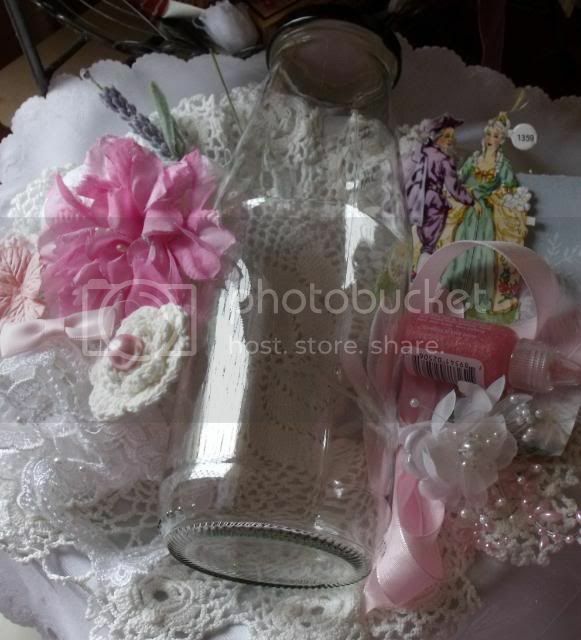 So yesterday I gathered stuff from my stash to embellish two pasta bottles one is a square kind and the other is a slim tall jar these are the two altered bottles one will hold my vintage buttons and the other is going to hold scraps of white/pink ribbon. I love those pics. Thanks for sending them. It was so weird, your post shows up in my blogger feed but the link is broken. Don't you just love technical difficulties. I would love to keep in contact with you. I was thinking of having a challenge through my blog. Do you have any suggestions? Me too ... my blogger is having PMS at the moment! Will get my thinking cap on are you thinking of a swap for a challenge or something else? How you doin? Great, I hope! 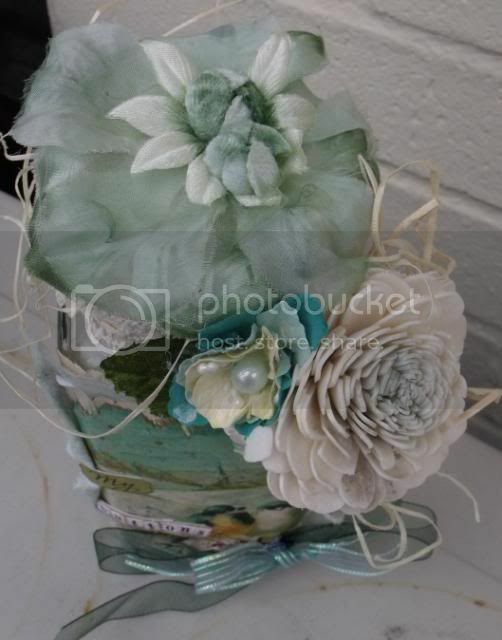 Maria, your latest creations are just gorgeous!! 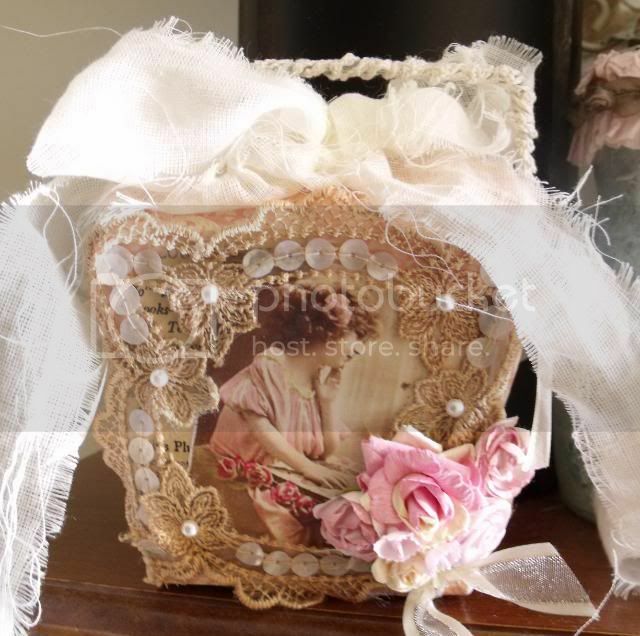 You have such a beautiful talent for embellishing! Ooohhhh so pretty!!!! Just gorgeous. Maria you have such a talent for this! The noodle box is adorable! I think it is my favourite from today's post. 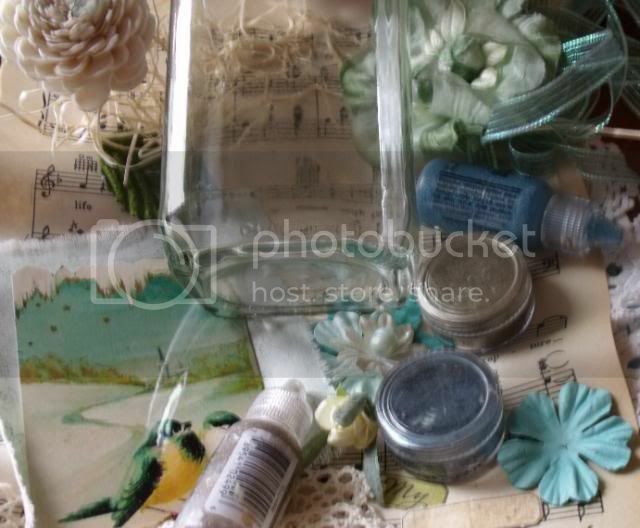 wonderful button jars Maria, and I lurv your ATC!!! 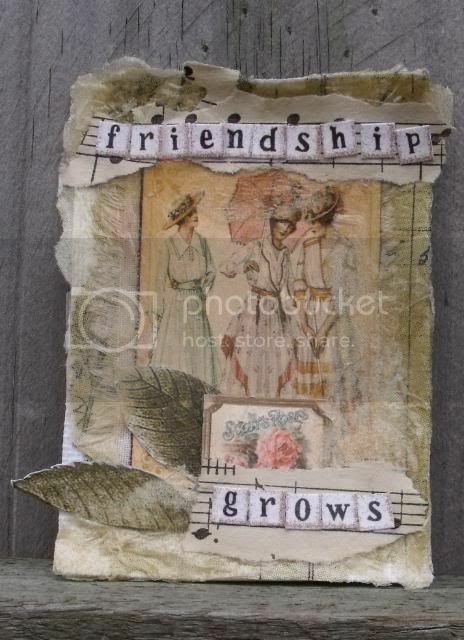 I'm totally in love with your ATC! WOWZAH!!!! 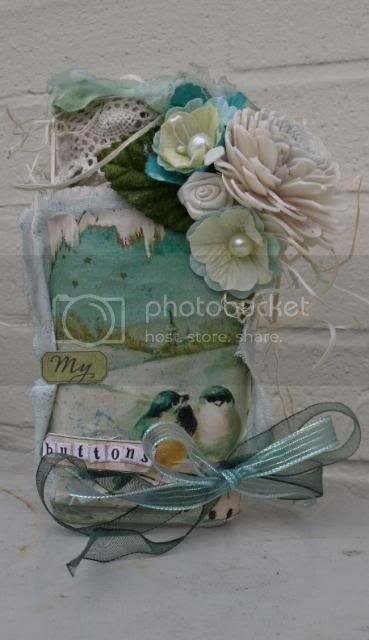 I haven't made ATC's in a long time and I feel my hands itch when I see this.... Hope you are doing well down under??!! Hello, my new blogger sister. It's so exciting to meet the sisterhood. Best regards from Zagreb, Croatia. Sandra Z.